The top 100 national advertisers use YouTube to run daily ad campaigns. The top 500 brand channels on YouTube get an average of 884,000 views each month. The top brands on YouTube average 98,000 views per video and 35,000 subscribers for each video channel. Digital video marketing spending has gone from $2 billion in 2011 to a projected $8.05 billion next year. Viewers in the coveted 18-34 bracket watch YouTube more than they do cable or network TV. The top 1,000 channels on YouTube bring in $23,000 in ad revenue, and generate 350 social media interactions for every minute of airtime. Monthly YouTube visits easily exceed 1,000,000,000. Close to 40 percent of video is watched with a mobile device. Video can create feelings of confidence and trust, bringing a human touch to your brand and allowing your audience to identify with the person featured in your video. And Video can make people curious. Think about how superhero movies often stick an extra scene after the closing credits. Why not do the same with your product, ending with a teaser for the next video? Studies have found that the simple mention of the word “video” in a subject heading can increase the click-through rate of an e-mail blast by 13 percent. Videos on a business Facebook page can increase end user engagement by 33 percent, while embedded videos can boost web traffic by 55 percent. Each day in the U.S. 75 million people watch an online video. Customers watch an average of 13.2 million video ads a day. Search engine spiders visit popular video portals on the web, and then follow the link from your video back to your website. It gets your site indexed in record time. If you have a business that’s not in a very competitive niche, you'll wind up with a higher search engine ranking. If you have a video on your company's homepage and landing page, this means customers will spend more time there. That raises your “dwell time,” which effects improves your page authority. A higher page authority improves your ranking with search engines. There are three kinds of videos you can make to promote your manufacturing website. The first is the viral video. You might hear that term and think of something funny or cute that’s been shared on Facebook. If you’re a marketer, it’s an elusive, but potentially very profitable, way to drive traffic to your site. The problem with the viral video is that it’s like a lightning strike: It can be powerful, but you don’t know when it will hit. Deeper in your website, you can add educational videos that help people understand things about your industry. The goal here is to establish your company as an authority in what you do, and to build trust with your audience. If people learn something from you, they’re more likely to return to learn more. 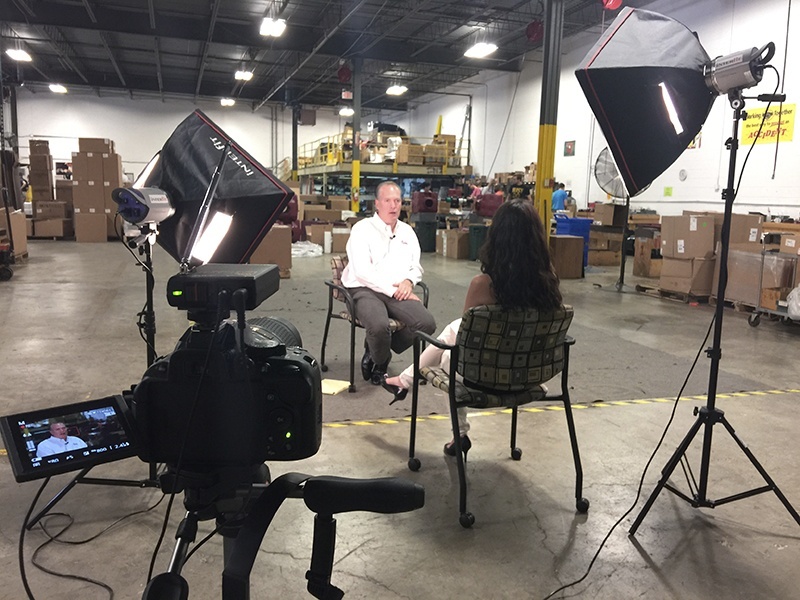 If you’re a manufacturer looking to embrace video marketing, IQnection can help. We’ll put our money where our mouth is and have you watch the video below so you can learn more about how video marketing can help you.